You can only research before you leave the country so much and even then the practicalities on the ground tend to be so different that it can be difficult to compare two experiences. My goal for the first day in Addis Ababa, the capital city of Ethiopia, was to apply for my visa into Somaliland. I wanted to get this done before anything else in case there was a delay. I had read that sometimes the laison officer isn’t at the embassy and that some travelers are told to come back at later dates. Somaliland itself is not an internationally recognized country so there is no official embassy in Addis Ababa. 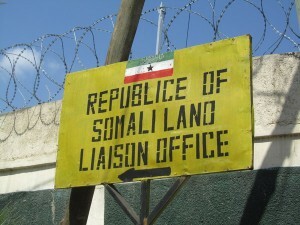 What I needed to find was the Somaliland Laison Office. When I woke up this morning I talked to Darwit, the receptionist at my guesthouse. I asked for directions. He brought me to the map on the wall and pointed to the Somalian embassy. I told him I needed a visa for travel to Somaliland and that Somalia’s embassy wouldn’t work. He insisted that this is the office I needed to visit and so I reluctantly ventured on foot. Most of the African embassies are pretty close together so I started seeing a few along the path. Here is where my search got a little interesting, albeit, unnerving. As I was walking I hear a voice from behind, “Alo, Alo! Where are you from?” I’ve been through this before. When you walk around by yourself in any city in Africa you’re likely to encounter people eager to talk to you. He was dressed decent and introduced himself as a Somali from Mogadishu. I told him I was actually on my way to the Somalian embassy right now and he continued walking with me to show me the way. The conversation was pleasant at first but then turned sour. He told me about his aspirations to work in England and that he is in Addis working towards that. Then he asked if I would go with him to a market nearby to buy milk powder for his baby so he can bring it back to him. I told him that I’m sorry but I won’t be able to go with him and help him out and that I have to get to the embassy. He mumbled something about white people that I didn’t understand and then as I proceeded to apologize for not walking with him he interrupted me and said, “If I ever see you in my country, I’m going to kill you!” and walked off in front of me. I wasn’t sure what to say or how to react but I muttered the words, “That was mean.” I have to be careful not to take this one interaction and let it effect my feelings towards the people who live in this region. I’ve seen this before. There are certainly individuals in every country that are looking to take advantage of western travelers and when it doesn’t go their way they lash out. I can’t say I was comfortable after talking to him but I continued on to the Somali embassy. When I arrived I was greeted by some men standing outside who confirmed what I had already known. I needed to go to the Somaliland office which was in a different location. He guided me in the right direction and I back tracked. Ethiopian military and police are scattered throughout the district where most of the embassies are so when I would ask one for help he would watch me till i was out of his sight and then I’d ask another for further directions. 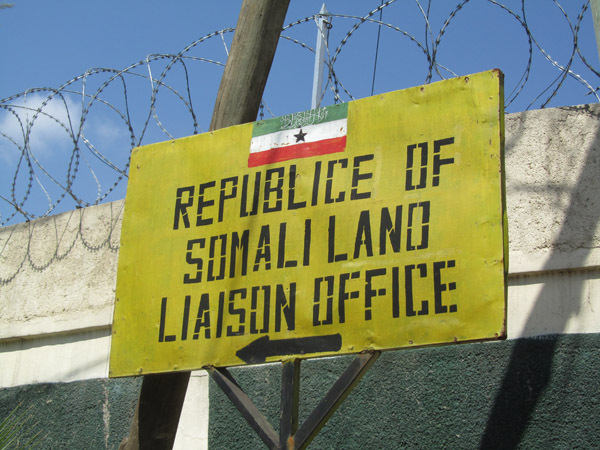 I eventually made it to the Somaliland Liason Office and went directly to the visa section. There were two ladies in there who handed me a visa application and asked me to submit it with $40 and a passport sized photo. I ended up having to run back to the guest house and grab my photos but it wasn’t too far. The process itself, not including my wandering around, took about 15 minutes. They stamped my passport with the visa and I was on my way! I had read prior blogs about getting to the Somaliland embassy which were very little help. All you have to do is ask a taxi to take you to the South African embassy and it is about 50 yards up the road. I now have my 30 day tourist visa for Somaliland and should be making my way that direction later this week. This entry was posted in Horn of Africa 2010 and tagged addis ababa, laison office, somalia, somaliland, somaliland visa by admin. Bookmark the permalink. Well written jo jo . Very interesting stuff. Just be aware and be careful …..
WOW! Joey just be careful but enjoy your travels I LOVE reading your blogs when your abroad it’s very interesting and I learn alot about the area’s that you travel to. Good Luck and may God be with you every step of the way. ‘That was mean’ HAHA! To say the least. I was wondering how that was going to work out considering Somalialand’s international, or rather, non-international status. I’m eager to see where your travels take you! Joey..Please accept my apology for that rude and ugly behavior by a Somali. I am a Somali myself and am very ashamed that that person did that to you because it is truely un-islamic behavior. Secondly, please enjoy your time in Somaliland. It is very safe as you know if you have done your homework on it. The people are friendly and eager to help you out. Most of the population speaks English since this is a former British colony. Also dont forget to visit Berbera’s beach, it is pristine, according to other westerners that have visited their. If you need any assistance, whether it is culture, or a place to stay while in Hargeisa, please do not hesitate, because I have my whole close knit relatives over there. Ouch…. That was mean. I felt the sting of that remark all the here in Florida, but don’t let it kill your spirit. Head high. Eyes open. Warm heart and boundaries. Thanks for the tip on getting to the Somililand embassy. Hey, just a quick correction: in order to find the Somaliland Liaison Office, it is not the South African Embassy you are looking for but the South African Residence. The Embassy is in Old Airport (rather close to the Somali Embassy), while the Residence is off Bole, close to the Mozambique Embassy, up the street of Stockholm Bar.